On Saturday June 29th, Laugh Out London comedy club brings you a night of work-in-progress comedy shows from amazing acts performing at the Edinburgh Festival Fringe 2013. 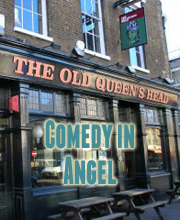 Venue address is Camden Head, 100 Camden High St London Borough of Camden, NW1 0LU. 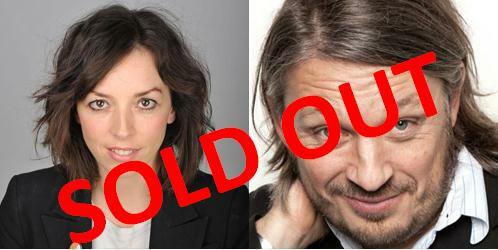 Star of BBC Radio 4’s Bridget Christie Minds the Gap, BBC2’s It’s Kevin, and Comedy Central’s Alternative Comedy Experience. Starts the day by eroticising waterproof jackets and roller coasters, ridiculing biro manufacturers, and destroying the patriarchy. And all at 11.10am in a Gloucester accent. Includes some shouting. The only stand-up to have been billed alongside both Lionel Blair and Naomi Wolf. Try and imagine being dead. It’s cold and dark and silent. There’s nothing. Nothing at all. You can’t see anything, smell anything, taste anything. Also, you’re not there. Can you contemplate the total absence of you? Go on, try… no… you’re still there aren’t you? This should be easy: it’s something you experienced for the first 13 billion years of the Universe and yet the prospect of returning to that state of nothingness is unimaginable and fills us with fear. And with all these thought swirling around in your mortal and decayable brain, it’s time for some comedy!